PARIS — SpaceX President Gwynne Shotwell on Oct. 27 downplayed the company’s 4,000-satellite broadband Internet constellation, saying the project remained “very speculative” pending a deeper assessment of its business case. 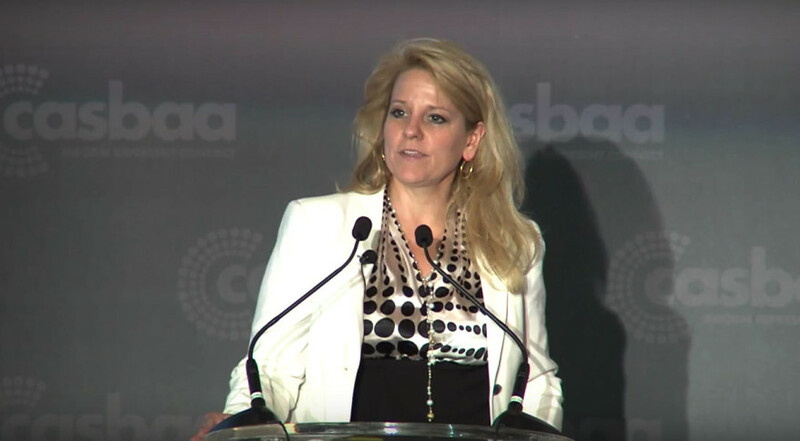 Speaking in Hong Kong at the Cable & Satellite Broadcasting Association of Asia (CASBAA) convention, Shotwell said SpaceX’s focus remains on the launch side of its business. Shotwell said SpaceX’s Falcon 9 rocket, which failed in June during a cargo mission to the International Space Station, would return to flight in December. The Hawthorne, California, company had already announced that it would launch 11 small Orbcomm machine-to-machine messaging satellites into low Earth orbit on the next flight, which will also be the first use of the upgraded Falcon 9. Once the Orbcomm satellites have been released, the flight will test re-ignition of the upgraded Falcon 9’s second-stage engine, a maneuver that is needed to launch heavier telecommunications satellites into geostationary transfer orbit. “We’ve learned a huge amount from that particular event. We were expanding production and expanding our supply base. It was important to get our arms around procuring components for rockets. It doesn’t take a lot to bring a rocket down. In fact it was not an expensive component that brought this rocket down in June. “But it was an important lesson for us to learn. I think we’re moving more from a ‘trust’ environment to a ‘trust but verify.’ That’s an important lesson to learn, certainly as we move to bigger rockets carrying more-expensive satellites as well as modifying our cargo spacecraft, the Dragon capsule, to carry crew. These are lessons you need to learn before you put people on top…. The upgraded Falcon 9 features a higher-thrust first stage and other modifications, including a longer second stage with a higher-thrust engine and a longer nozzle, to give the vehicle more power while reserving enough energy to return the rocket’s first stage for subsequent reuse. SpaceX has said an early December launch of Orbcomm’s satellites could be followed, the same month, by the launch of Luxembourg-based SES’s 5,300-kilogram SES-9 telecommunications satellite. Both the Orbcomm and SES launches are to occur from Cape Canaveral Air Force Station, Florida. The company has scheduled the use of the last of its earlier-version Falcon v1.1 rockets to launch the U.S.-European Jason-3 ocean-altimetry satellite into low Earth orbit from Vandenberg Air Force Base, California. It remains unclear when that flight would occur. SpaceX’s intentions with respect to a broadband Internet satellite constellation have been the subject of debate and occasional confusion in the industry since Jan. 15, when company Chief Executive Elon Musk announced the opening of a satellite production facility outside Seattle. 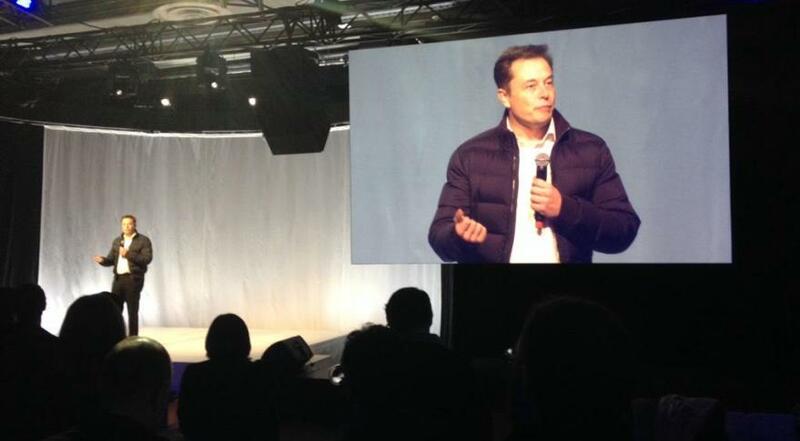 It was then that Musk, addressing an invitation-only crowd in Seattle, talked of a 4,000-satellite constellation to perform Internet trunking services. A week later, SpaceX confirmed that Internet search giant Google and Fidelity Investments together had invested $1 billion in SpaceX, giving the company a valuation of around $11 billion. The proximity of the two events has led to speculation that Google, which accounted for $900 million of the $1 billion investment, was backing a satellite Internet project alongside its other research investigating drone- and balloon-provided Internet in areas currently off the broadband grid. SpaceX has since said it would launch two small satellites to test the radio frequencies it wanted to use for the project, and to secure the company’s reservation with international frequency regulators. Shotwell has always denied the Google satellite link, saying the Google and Fidelity cash went into SpaceX’s treasury for general corporate purposes and had not been earmarked for the satellite venture. Addressing CASBAA’s convention Oct. 27, Shotwell sought to dispel the impression that SpaceX — already busy returning from a launch failure with an upgraded rocket, developing a Falcon Heavy variant, upgrading its Dragon cargo freighter to carry crew for NASA — was moving full-speed-ahead with what would almost certainly be a multibillion-dollar investment in satellites. “I would say that this is actually very speculative at this point,” Shotwell said of the satellite Internet idea. “We don’t have a lot of effort going into that right now. “Certainly I think that from a technical perspective this could get done. But can we develop the technology and roll it out with a lower-cost methodology so that we can beat the prices of existing providers like Comcast and Time Warner and other people? It’s not clear that the business case will work,” Shotwell said.